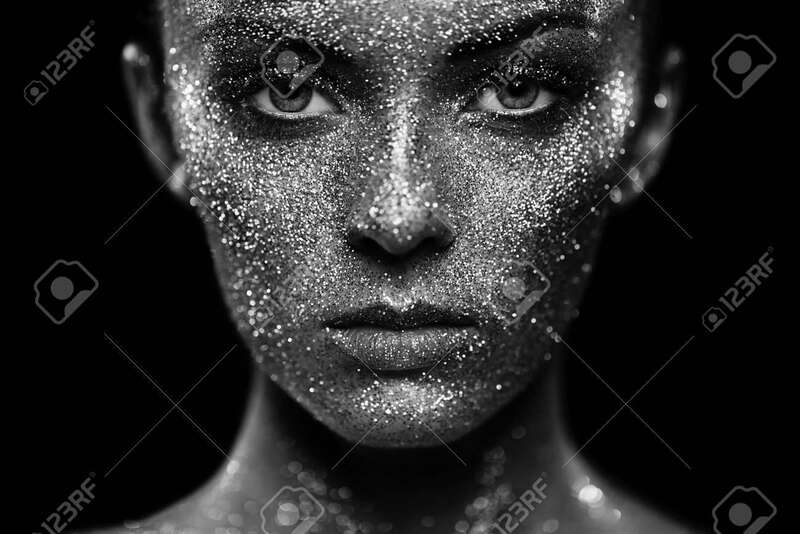 Portrait Of Beautiful Woman With Sparkles On Her Face. Girl With Art Make Up In Color Light. Fashion Model With Colorful Make-up. Black And White Royalty Free Fotografie A Reklamní Fotografie. Image 68736019.